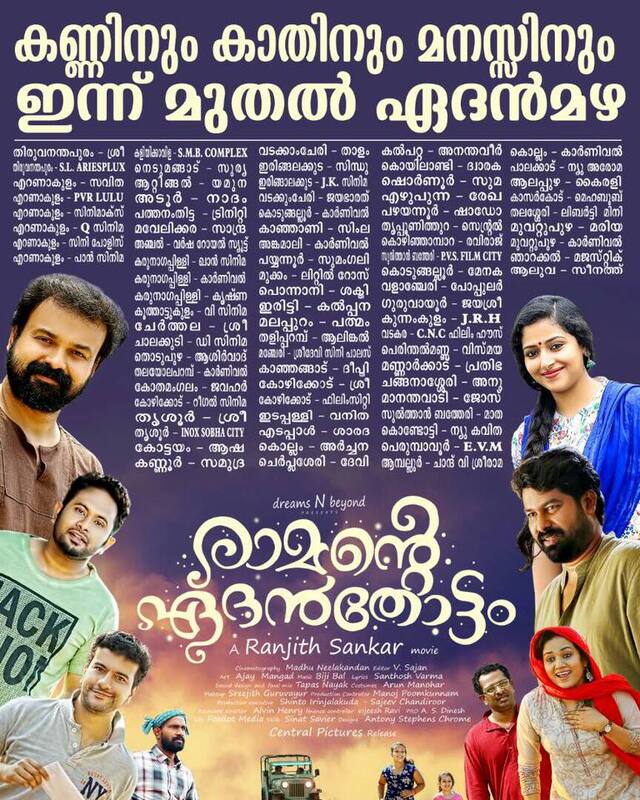 Ramante Edanthottam is an upcoming Malayalam language film written produced and directed by Ranjith Shankar. Shoot started in February 2017 in Kochi and Wayanad. Cast: Kunchacko Boban as Ram Menon , Anu Sithara as Malini , Aju Varghese , Shathru , Muthumani ,Joju George, Ramesh Pisharody ,Sreejith Ravi .